Above: Residents had opposed allowing Bristol Liquors to operate as a tavern, seven days a week. The Baltimore City Liquor Board yesterday upheld last month’s decision to allow a six-day-a-week liquor store in Fells Point to become a seven-day-a-week tavern, denying a request for reconsideration by four community organizations that opposed the change for Bristol Liquors at 507 South Broadway. “We lost,” said Joanne Masopust, president of the Fells Point Community Organization, looking a bit stunned after the ruling by interim Liquor Board Chairwoman Elizabeth C. Smith. 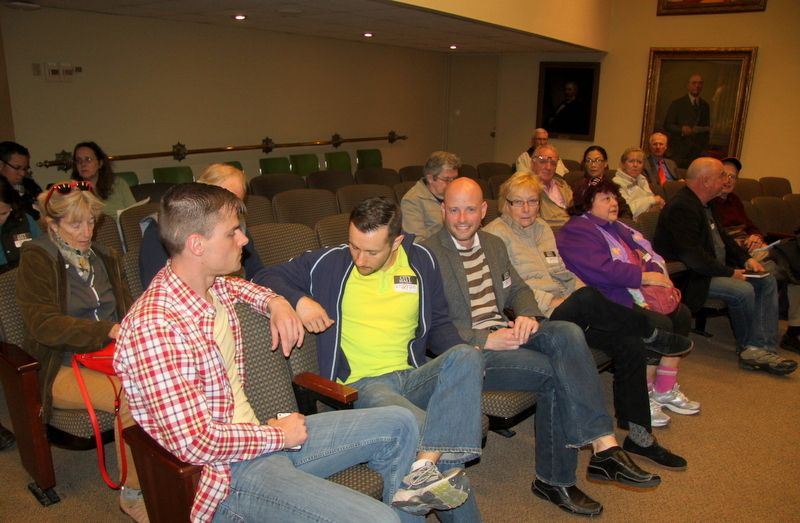 Masopust was explaining the upshot of the quick City Hall action to the group of about 20 residents who had showed up for it. The opponents said it was unheard of for a community group to be given the chance to argue for reconsideration and that they had hoped, coming amid changes in leadership at the Liquor Board, that the opportunity had signaled a new day at the long-criticized agency. A strong letter from City Councilman James B. Kraft siding with the opponents had also buoyed their hopes. Her group and the other three – Douglass Place Neighborhood Association, Fells Point Residents Association and the Fells Prospect Community Association – had argued among other things that the additional liquor sales were not needed in an area over-saturated with bars and liquor stores. “I have pictures of people passed out in front of the store,” said Michael Wright, taking photos out and displaying them after the hearing. Wright said he and Seth Barkman are opening up a furniture store on Eastern Avenue about a half block from Bristol Liquors. He described recently having to step around a passed-out person as he was showing someone his shop. “Given the overwhelming support – every association has unanimously voted against expanding their hours and days – it’s mind-boggling we find ourselves in this situation,” said resident Jorge Maciel, who came with Wright and Barkman. As a liquor store with a “Class A” license, the establishment could only open for six days and could not sell liquor for consumption on the premises. 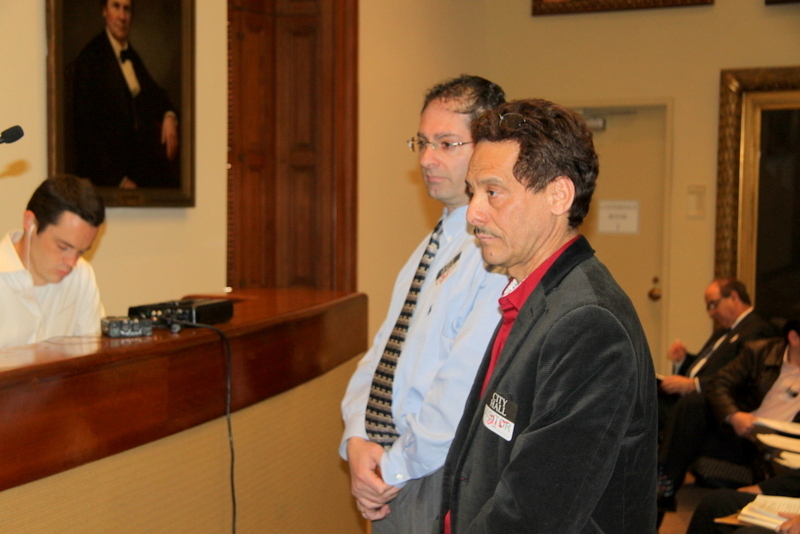 Bristol wanted tavern status in order to open on Sundays and put five stools in the establishment for patrons, Abraham Hurdle, the attorney for the licensees Drhuba Raj Onta and Daoub Faddoul, had argued before the board in March. Hurdle had presented a petition of support for the licensees signed by some 400 hundred people, demonstrating a need in the community, he had told the commissioners. Masopust had questioned the signatures, saying many came from outside Fells Point and did not have last names. Yesterday, addressing the two members currently sitting on the board (Smith and Commissioner Harvey E. Jones), Masopust reiterated their main reason for asking the board to reverse its decision. “Uniqueness of service” is a requirement in the law for a transfer to be approved. In her neighborhood, Masopust said, the sale of cheap liquor is anything but unique. 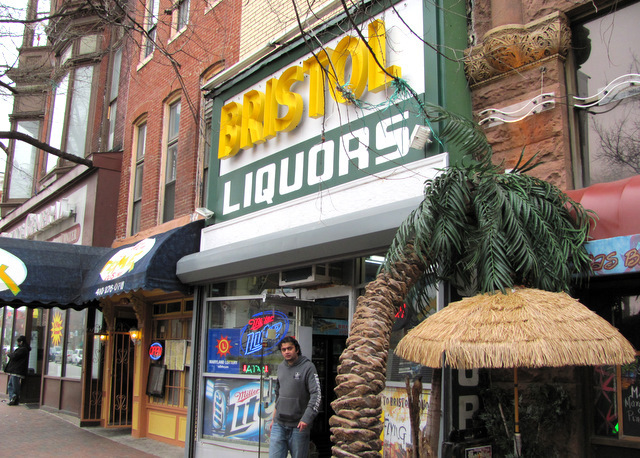 There are 30 establishments within a four-block radius of Bristol Liquors licensed to sell liquor after midnight and on Sundays, Masopust noted. In March, Onta told the board he plans to be open from 7 a.m. to 2 a.m. daily. That means an additional nearly 32 hours of liquor sales at Bristol, the opponents note. The community’s opposition includes their contention that the diagrams showing the layout of the establishment does not conform to the square footage requirements for a tavern. “We believe that there is some truth in the argument against the specific design, and the present-day pattern of operation that this establishment would operate under,” she said. “But there is something about this case that bothers the board, about the licensees and their communication with the community associations,” Smith said, going on to ask if the parties could discuss possible concessions or conditions or consider a memorandum of understanding. Hurdle said he objected “strongly” to the opponents “getting two bites at the apple,” saying they had thus far refused to meet and negotiate with his clients. Asked by Smith where the community stands with regards to negotiations, Masopust began, “I’m not exactly sure how to address that,” eliciting a smirk by Hurdle. “Mr. Hurdle, I don’t find that amusing by the way,” Masopust said, looking at him. 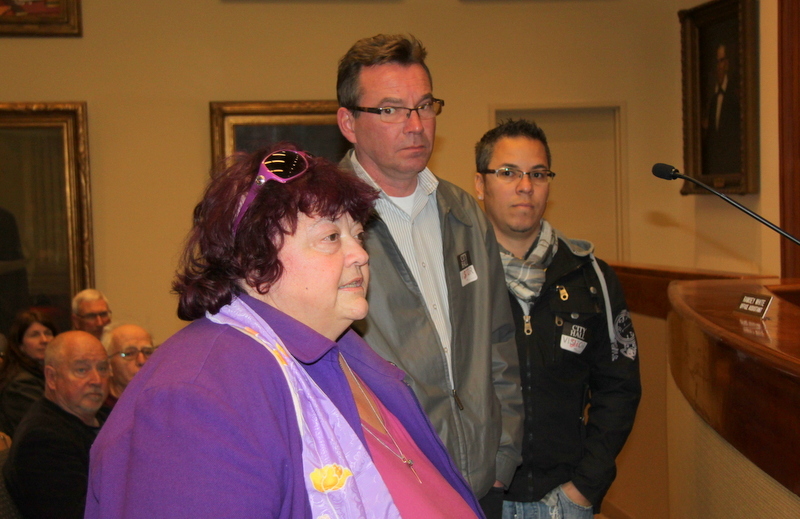 Afterwards, Masopust said she was unhappy about the decision – and “disappointed” that no one from Kraft’s office came to the hearing – but was encouraged by the citizen turnout.